A total of 64 records matched your search. This Harry Potter 6 Session audio Set answers all your questions revelations you will get nowhere else because no one else knows Black Magick Witchcraft. Session 1. General Review; 2. Book Reviews One/Two; 3. Book Reviews Three/Four; 4. Vivid Colors Used in Satanic Magick; 5. Movie Review -Sorcerer's Stone; 6. Movie Review of "The Lord of the Rings" [Individual tape #CER1166]. Just as Harry Potter is preparing children up to age 12 for Antichrist, so "The Lord of the Rings" is preparing people 12 years of age through Adulthood, for Antichrist. Thus, we have a logical tie-in between Harry Potter and "The Lord of the Rings", a total of 3 1/2 hours of instruction. Save $9.00 over buying these sessions seperately on the 6 audio tapes. 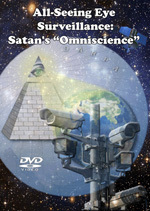 PRM-DVD-996-All-Seeing Eye Surveillance: Satan's 'Omniscience' This item is on sale. 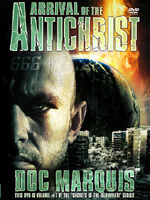 CE-Doc-DVD-666-Arrival of the Antichrist DVD #1 in 'Secrets of the Illuminati' Series, by Doc Marquis - 2-DVD Set, 3 1/2 Hours This item is on sale. 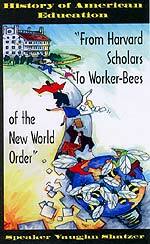 Chapters include - 1) Introduction; 2) History of the Masters of the Illuminati; 3) Religion of the Illuminati - and of Antichrist; 4) The Illuminati 7-Part Plan for Global Conquest. 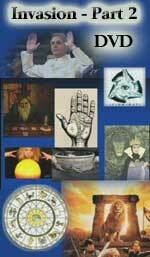 Focus is on the infamous Rothschild 'Protocols of the Learned Elders of Zion' and how leaders are following that plan as a blueprint; 5) The two Great Seals of the United States; 6) Maps of Washington, D.C. From this discussion, Doc presents a thorough examination of the Illuminati Card Game, showing specific cards. Now you can enjoy the "Best of Cutting Edge Radio" programs!! This assortment contains 10 of the best selected radio programs. CER1099 Has Covenant of Antichrist Been Signed? CER1105 Public School Conditioning Of Your Children! CER1114 George W. Bush Shows His True Colors Already! If bought individually, retail would be $49.90. You are saving almost $35.00! 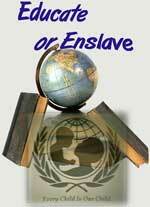 CER1120 Gorbachev Confirms New World Order Plan! CER1121 Antichrist Planned And On His Way! 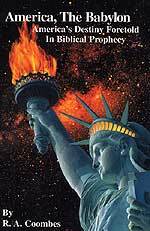 CER1129 Economic Babylon of Rev 18 Might Be America! If bought separately, retail would be $49.90. You are saving almost $35.00! CER1134 Christian Parents Could Lose Custody of Their Children! CER1142 Pope's Declaration of Global Religion Next Step! CER1145 Stem Cell Research -- Bush Decision Christian? CER1155 Is Drumbeat To Use Nuclear Weapons In Middle East Beginning? CER1160 Israeli Minister Assassinated! Trigger For World War III? CER1163 Top Biological, Nuclear Medicine, DNA Scientists Suddenly Dying! CER1167 Is Rev Billy Graham A Secret Mason? CE-BP-Black Pope Book On CDROM Plus 12 Other Investigative Books Written In The Latter 1800's - VATICAN ASSASSINS BOOK was based upon these 13 books! VATICAN ASSASSINS Book was based upon these 13 books! The "Black Pope" was the major resource on which Vatican Assassins was based and is one of the hottest, most controversial books of the late 1800's. 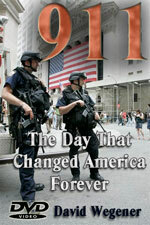 This book was so hot, son very controversial, that the Vatican forced its withdrawal shortly after it was published. This book reveals the hidden hand in the Vatican, that of the top Jesuit leader, always secretly referred to as the "Black Pope". This CDROM also contains 12 other books: 1) History of Romanism, Dowling, 1845; 2) History of the Jesuits, Nicolini, 1854; 3) Popery, Puseyism, and Jesuitism, Desanctis, 1905; 4) Engineer Corps of Hell, Sherman, 1883; 5) Secret Instructions of the Jesuits, Brownlee, 1857; 6) The Jesuits, Griesinger, 1903; 7) Footprints of the Jesuits, Thompson, 1894; 8) Awful Disclosures of Maria Monk, Maria Monk, 1835; 9) Thrilling Mysteries of a Convent Revealed!, Peterson, 1835; 10) Jesuit Conspiracy: Secret Plan of the Order, Leone, 1848; 11) Crisis: Enemies of America Unmasked, Leone, 1848; 12) Romanism as a World Power, Kauffman, 1922. As the world races toward the unveiling of Antichrist and his False Prophet, we need to be as aware as possible of the true occult nature of the Roman Catholic Church. 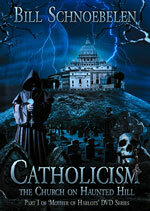 CE-Bill-DVD-001-Catholicism: The Church On Haunted Hill - DVD by Bill Schnoebelen - Part 1 of 'Mother of Harlots' Series This item is on sale. Why, oh why, has the Catholic priesthood been sexually molesting little boys, young women and married women for the past 1,000 years? The answer is simple: Roman Catholicism is NOT genuine Christianity, but a mixture of numerous pagan doctrines and practices, all of which lead to sexual deviancy. Former Catholic Seminarian, Bill Schnoebelen, proves that, given the true inner heart nature of Catholicism, sexual deviancy and molestation is what we should expect from many priests! Bill also shockingly reveals that Catholic priests teach that Jesus was able to perform miracles only because He had gone into the Occult and was using the power of Occult spirits! Jesus condemns this belief in the strongest of terms (Matt 12:22-31). Therefore, priests who believe this heresy are no longer subject to the promptings of the Holy Spirit and can fall into unusually hateful and hurtful sins. Bill also reveals that in the Catholic seminary he attended he discovered that about 75% of the men studying for the priesthood were gay, many of them very openly gay. Pope Benedict XVI is thoroughly caught up in this scandal, from the actions he took while Cardinal Ratzinger. Therefore, this scandal is simply going to continue until the Antichrist arises. 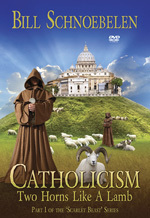 We present a Plan of Salvation, at the end, written specifically for Roman Catholics, making this DVD a most effective Soul-Winning DVD! Why, oh why, has the Catholic priesthood been sexually molesting little boys, young women and married women for the past 1,000 years? The answer is simple: Roman Catholicism is NOT genuine Christianity, but a church founded upon Biblical doctrinal errors, many of which lead to sexual deviancy. Bill also reveals that in the Catholic seminary he attended he discovered that about 75% of the men studying for the priesthood were gay, many of them very openly gay. This percentage is very common throughout the priesthood throughout the world, even in America. Former Catholic Seminarian, Bill Schnoebelen, proves that, given the true inner heart nature of Catholicism, sexual deviancy and molestation is what we should expect from many priests! Millions of Catholics are leaving the church and millions more are thinking about leaving and all are very confused and angry over the sexual fiasco within the priesthood. They cannot reconcile the church they grew up in, and established a family in, with the daily report somewhere that another Catholic priest has been charged with sexual molestation of young people. Even Pope Benedict XVI is thoroughly caught up in this scandal, from the actions he took while Cardinal Ratzinger. 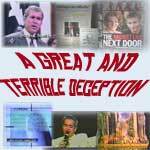 Therefore, this scandal is simply going to continue until the Antichrist arises. 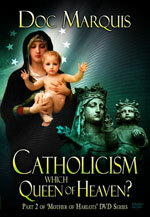 CE-Doc-DVD-18-Catholicism: Which Queen of Heaven Are They Worshipping? 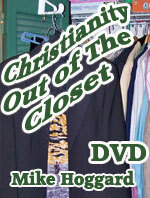 DVD This item is on sale. Drawing upon his deep training as a Luciferian Witch in the Illuminati tradition, Doc Marquis conclusively proves that Roman Catholicism is identical to Ancient Babylonian Witchcraft! Doc begins by proving that the Virgin Mary, the Queen of Heaven in Catholicism, is identical to Semiramis, the Queen of Heaven in Babylonian Witchcraft! From this extensive treatment, Doc derived the name of this video. Are you aware that Israel's worship of the 'Queen of Heaven' is one of the major reasons God cast Israel into the 70-year judgment at the hands of King Nebuchadnezzar? Yet, Catholicism continually urges her people to worship Mary, Queen of Heaven! You will also learn that the Pope has declared himself to be equal with God! 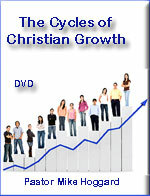 Once you watch this video, you will have an effective soul-winning tool by which you can win Catholics to Jesus Christ. 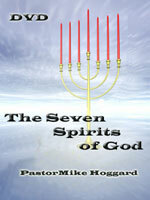 Toward this end, we have included a specially written Plan of Salvation, written especially for Roman Catholics. 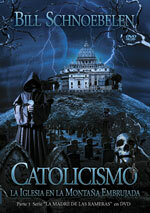 NOTE: This DVD is the Spanish version of our original, 'Catholicism: Church On Haunted Hill', by bill Schnoebelen. ¿Por qué, oh por qué, ha estado el sacerdocio Católico Romano abusando sexualmente de niños, jovencitas y mujeres casadas por los últimos 1,000 años? La respuesta es simple: El Catolicismo Romano no es el cristianismo genuino, sino una mezcla de numerosas doctrinas y prácticas paganas y ocultistas, las cuales conducen a la desviación sexual. El ex seminarista católico y satanista, Bill Schnoebelen, muestra que, dada la verdadera naturaleza del corazón mismo del Catolicismo: desviación sexual, acoso y homosexualidad, es lo que debemos esperar, y no sorprendernos al descubrir tales aberraciones sexuales entre sacerdotes y monjas. ¡Bill también revela de forma estremecedora que los Sacerdotes Católicos enseñan que Jesús pudo realizar milagros solamente porque El se adentró en la Brujería y estaba utilizando los poderes del Ocultismo! Jesús llama esta clase de creencia pecado, el cual es imperdonable, ya sea en esta vida o en la venidera (Mateo 12:22-31). Así que, los sacerdotes que creen esta herejía ya no están bajo la influencia del Espíritu Santo y pueden tornarse crueles y llenos de odio. Bill también revela que en el seminario Católico al que él asistió, descubrió que alrededor del 75% de los hombres que estaban estudiando para ser sacerdotes, eran homosexuales. El papa Benedicto XVI fue atrapado en este escándalo, a causa de las acciones que el tomó mientras era el Cardenal Ratzinger. Así que, estos escándalos simplemente continuaran hasta que surja el Anticristo. Bill, luego revela que Satanás creó la Iglesia Católica- comenzando con Constantino en un esfuerzo por corromper el Cristianismo verdadero y derrocarlo desde su centro. Parece ser Cristiana, pero no es más que una mezcla de doctrinas y prácticas del Satanismo, donde billones de almas se están hundiendo y van camino al infierno. ¡Incluso la ubicación del Vaticano, es una pista de la verdadera naturaleza del Catolicismo; está erigida en una montaña Romana llamada Vaticanus un lugar de la Antigua Roma caracterizada por la adivinación y la brujería, un lugar que Bill llama sumamente maldito! Three United Nations Programs: Outcome Based Education, Goals 2000, School-to-Work -- These cradle-to-grave "improvement" plans are designed to reshape our national values and belief systems through our children. This video covers the origin of all these programs, showing how they are designed to completely change the values systems and worldview of our precious children. 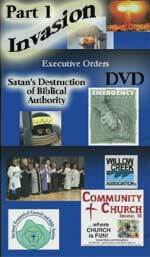 PRM-04-DVD/pc-DVD - Invasion - Satan's destruction of Biblical Authority - Part 1 of the "Watchman on the Wall Series"
PRM-06-DVD/pc-DVD - Invasion Part 2 - Satan's War against our homes, our churches and our country - by Pastor Hoggard - Part 2 of the "Watchman on the Wall Series"